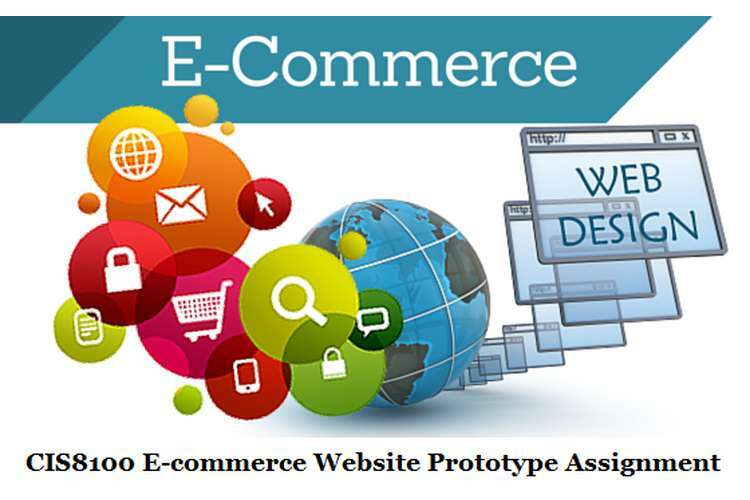 This CIS8100 E-commerce Website Prototype Assignment Solution discuss e-commerce website prototype for business enterprise in mobile technology and more help on programming assignment writing . E-commerce websites are quite common these days. Shopping experience has totally changed from inline to online. Introducing a mobile e-store is an attractive package as the initial cost is very low and it would make the small business global. It will bring the gadget-shopping experience all at your finger-tips. The business goal to online mobile store is to expand the business. Making an e-commerce website for mobile store gives you the wings to globalize your business. The target market is mostly the adults and precisely the youth. Making a mobile e-store makes it quite clear that it will be used by those who spend more time over internet and in the fast pace life have no time to go to a store and check out the phones. Both the business and stakeholder requirements for the need of the use of the website are quite comprehensive and similar. The major business requirement is the expansion. This will also expand the profit margin. Stakeholders ought to have less time to go to the store physically so they may purchase the products directly from the e-store. User is allowed to check the products available with the system and then add them to the cart. As many items may be added to the cart. User has to then buy the products, after billing the user’s product is shipped. User can also make the cash payment once satisfied with the product. The pages will interact with user and the data will all be stored within the database. All pages are developed using HTML and CSS. GUI is kept relatively simple and easy to use. PHP is used to bring dynamism to the system. All the interactions with database are made using PHP. MySQL is used as database which is well known for its high performance and safety features. Development tool used is Adobe Dreamweaver. It is one of the best tools for the GUI development. The scripting language used is PHP. Payment systems used in the mobile e-store are on-cash payment after delivery of product. It will boost the confidence of the customers towards the integrity of the store. MySQL is used as Database. The name of the database allotted is ecommerce2. Various tables are present in the database like items, orders, register, myproducts and so on for storing the required data. Database system is kept as password protected. All the user information will be secure. The user is also provided with the account which can be accessed using the login id and password mentioned during the time of registration. The images are used for the products so that user can experience the look of the product to buy. Navigation menu is present each page which provides link to various sections of the website. About-Us section is provided which gives complete details of the store and those of the owners as well. It is also provided with email-ids so that user can ask for any query directly from the e-store. Website style is kept clean and simple. CSS is used for the styling of the website. Designing is done in accordance with the theme. The website is easy to understand and use in the first-look itself. The index.html page is the home of the website. It is provided with a slider with the products and brand images available in the store. Navigation section is provided in each page to jump to pages quickly. Features after login are clearly mentioned in profile page. The website is fine for its simplicity. It is compatible with all the major browsers like Mozilla firefox, Google chrome, safari, opera, Internet Explorer The target browser is however Mozilla Firefox. The website is so developed that features can be added to it. The scalability is kept in mind during the coding and it is possible to enhance the scale of the developed product. The website is developed for the purpose of acting as the platform for the e-commerce. The mobile e-store will reduce the need of the user to go to a store physically and buy mobiles and accessories. Instead, all these can be done within few clicks. Get expert help on assignment writing help with OZ Assignment Help in Australia. Contact us now to make assignment writing easy and effective with our expert help. you can check samples on our work folio and order assignment.